If you have chosen to homeschool in Utah, you may need information, resources, and curriculum that will help you get started. 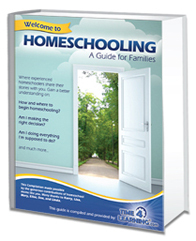 This page aims to help guide you through the process of homeschooling in the Beehive State. Take a few minutes to read through it, and feel free to share this page with other new homeschoolers in your state. If you have questions or comments about homeschooling in Utah, check out the homeschooling tools and resources or visit the online Utah support group. Homeschooling in Utah is great! There are so many resources available to homeschoolers that it is hard to decide which to choose. There is never a lack of people to get advice from, be mentored by, or to get hands on help from. While homeschool styles and schedules vary, here is what may be an example of a “typical” homeschool day. Perhaps your child will do five minute timed math exercises, then practice the piano for 30 minutes. After that, you may decide to do book-work for the first 1 ½ to 2 hours, before moving onto Time4learning.com. Once a month or so, you might like to do a science experiment; build a racecar from popsicle sticks, a self-propelled boat from a pop bottle, or an airplane from clothespins. You might even have just a “book day” once in a while – where you take the whole day just to read and enjoy stories. Time4Learning is vibrant, engaging, educational, and funny. If you have any more questions or comments about homeschooling in Utah, head over to the Utah Parent Forum.